Efficient Garbage Bin Rental Service For Anyone! Garbage Bin Rental Has Never Been Easier Thanks To Best Price Dumpster Rentals! Garbage bin rentals solve a big waste-management issue but come with their share of hassles. First, you need to go through a chain of brokers to get your garbage bin for rent. Then, there is a whole hassle with getting your replacements scheduled. Throughout this entire procedure, if you need to contact someone for any reason, you get shuttled from one broker to the next. At Best Price Dumpster Rentals, we bring garbage bin rentals straight to home. There is no need to get past layers of brokers and oily salespeople to talk to the vendors directly. You can call us directly or email us or leave a message on our website form. We rent out to you directly, and there are no middlemen. Call us at 8134377547 and talk to our waste management experts. Get a free quote for your garbage bin rental instantly. All we need are a few simple details – the size of the dumpster, the duration of rent, and the weight of the garbage to generate your quote. Schedule your garbage bin drop off, and our drivers will drop the rented container at the scheduled time. 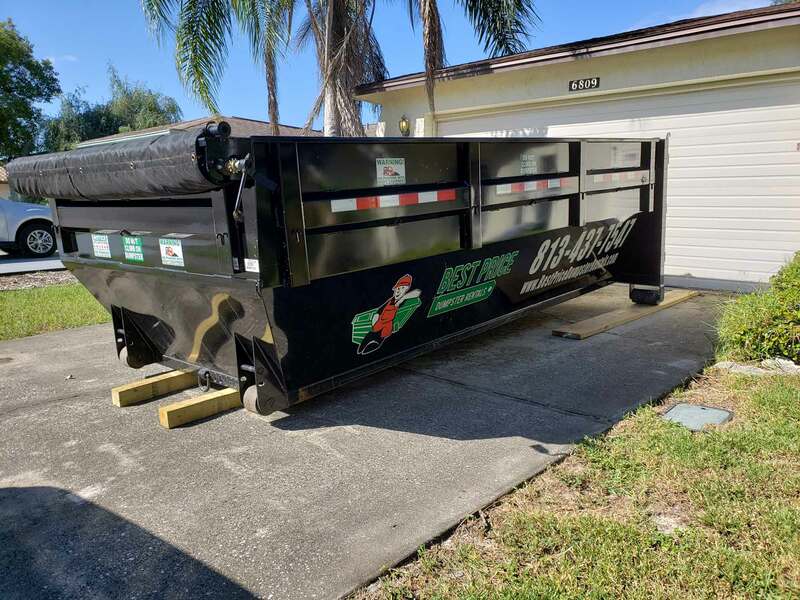 Once your dumpster is full, call our waste management experts in Pasco, FL, and we will arrive with a replacement right away and take the old garbage bin away along with the junk. All our customers in Pasco, FL love us a lot and for a good reason. We provide professional dumpster rental services that are affordable and accessible. 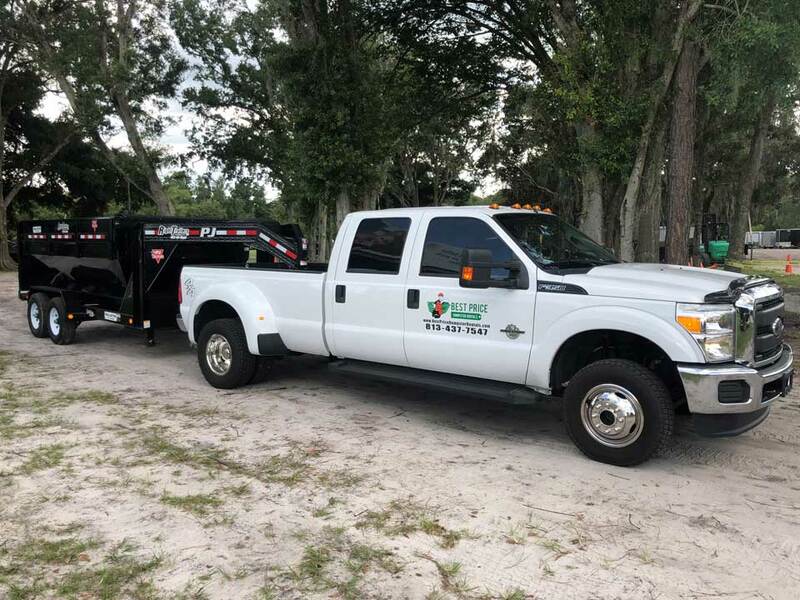 More importantly, our waste management experts in Pasco, FL will share all their expertise and experience with you enable you to make informed choices at every step. Don’t Delay Renting Your Roll off Garbage Bin from Best Price Dumpster Rentals ! 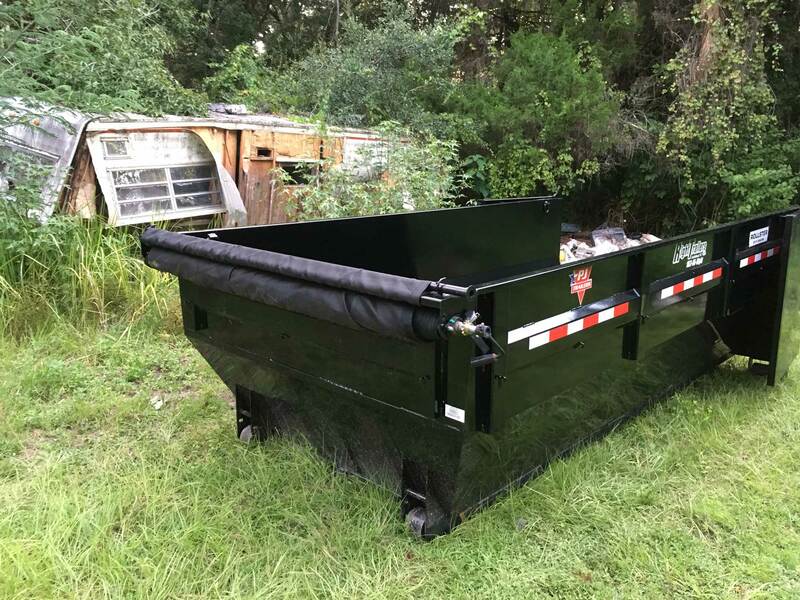 At Best Price Dumpster Rentals, we have several options for garbage bin rentals in Pasco, FL. As per the description you provide us with, we will recommend the perfect size that suits your project or requirement. 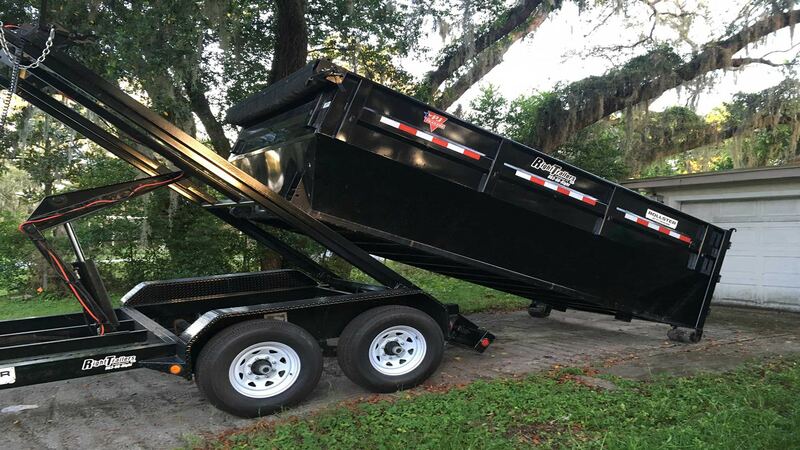 We offer more than just a dumpster rental service in Pasco, FL. We offer a lifestyle choice – you can go about renting garbage bins the traditional way, or you can opt for Best Price Dumpster Rentals. Our customers require our services forever, and once they start using our services, we never give them the chance to complain. At Best Price Dumpster Rentals, we can provide large garbage bins for large-scale cleaning projects as well. Our roll off garbage bins come in many sizes and are best suited for specific projects. We can send in a specialized construction garbage bin as well for easy cleanups. 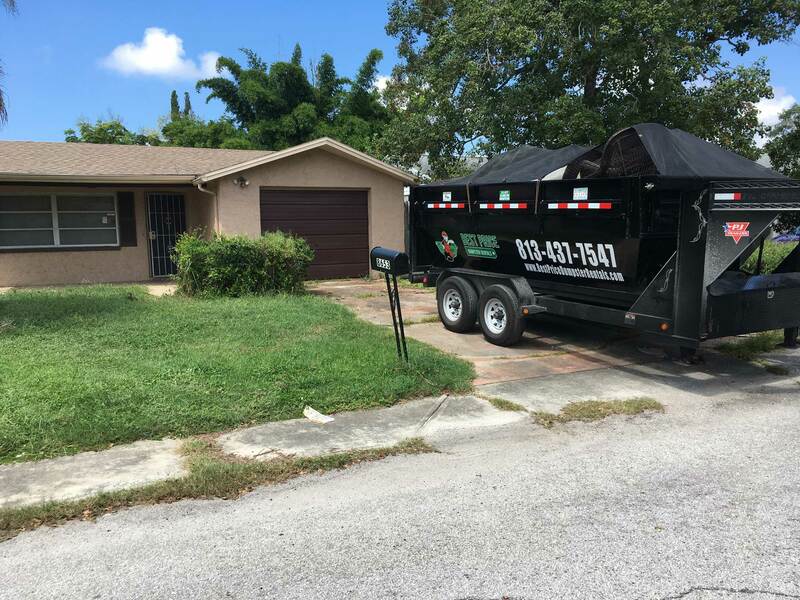 Residential garbage bin rentals are also a very popular request with our customers in Pasco, FL. We understand full well that no one wants an extra hassle in their life to get rid of junk. This is why we take the entire process off your hands and automate it for quick, efficient, and affordable waste management solutions. We Are The Garbage Bin Rental Company Everyone Trusts! At Best Price Dumpster Rentals, our work ethic is unquestionable and is appreciated by all our clients. We deliver on all our promises and the dumpster rental services that we provide in Pasco, FL solve a real problem. Incredible Offers: : We pride ourselves in the pricing structure that we can offer. Not only are we extremely affordable, but we are also very transparent about our charges. There are no hidden costs, no dodgy fine print, and our prices are unbeatable. Hassle-Free Dumpster Rentals: : We are not just Best Price Dumpster Rentals, but also hassle-free dumpster rentals. We guarantee completely satisfied customers with the garbage bin rental services that we provide. Let us take the extra workload of renting and clearing out your garbage bins off your busy hands. Varied Product Range: At Best Price Dumpster Rentals, we can proudly say that we have something for everyone. No matter how much garbage you need cleared away in Pasco, FL is, we have the right garbage bins for you. Rent a big garbage bin if you need to – we have you covered. Professional Approach: Our service executives and our waste management experts have several years of experience in the waste management and removal industry. We can offer you a professional approach as no one else can, and we make sure of that in everything that we do. Not Sure Where to Rent a Garbage Bin in Pasco, FL? If you need garbage bin rentals anywhere in Pasco, FL, we are the right company for you! At Best Price Dumpster Rentals, we bring renting garbage bins to a whole new level of efficiency and affordability. If you need a construction garbage bin, we have some affordable options that you can try. How much does a garbage bin rental cost? The cost of your garbage bin rental depends entirely on three factors – the size of the bin, the weight of your garbage, and the span of renting the dumpster. Give our waste management experts a call, and we can give you a detailed, free quote for our dumpster rental service. When should I opt for a roll off garbage bin rental in Pasco, FL? For the most part, a roll off garbage bin is rented for clearing out construction project debris, large household waste, and commercial project junk. But, depending on your needs, we can send over a small garbage bin as well. Do I have to pay extra to get the garbage bin replaced? The only time you have to pay an extra for our garbage bin rentals is if the weight of junk exceeds the original estimate. If you need us to extend the rental period, then that is charged as an extra as well. But, we take away the garbage and replace the bin with zero additional cost. Everything is built into our package. I filled up my garbage bin earlier than I expected. What do I do? Call our waste management experts at 8134377547 to get a new dumpster. That is all there is to it. If you have another garbage bin scheduled soon, we cannot get it to you ahead of schedule. We can get you a new bin by the end of the day, though. 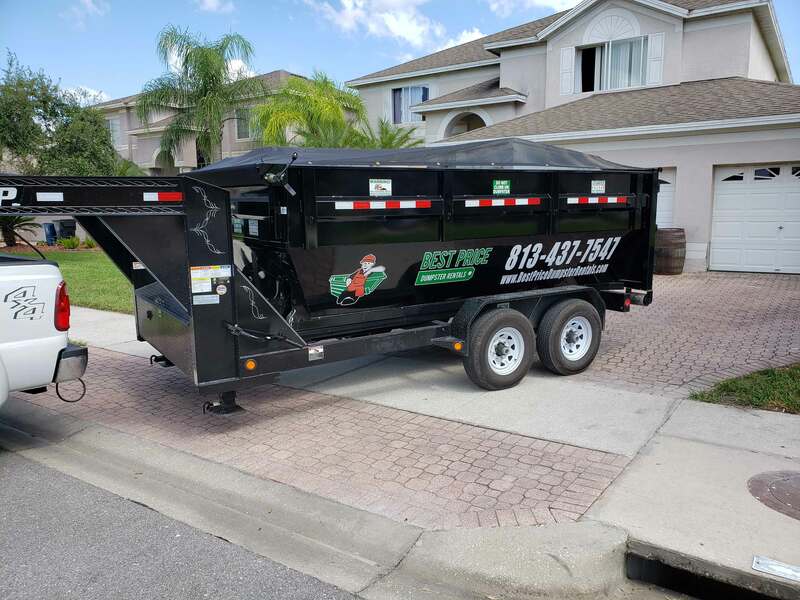 Do I need a permit for a roll off garbage bin rental in Pasco, FL? Are you planning to set your dumpster down on the public property in Pasco, FL? If not, then there is nothing to worry about. If you have to set it on public property, our service executives can tell you everything that you need to know about the permits you need and how you can get them. Garbage Bin Rental Has Never Been Easier - Contact Best Price Dumpster Rentals Today! The roll off garbage bins that we provide for rent in Pasco, FL are sturdy, affordable, and sized to perfection. Schedule your garbage bin rental today and save yourself a lot of trouble.